"High, most encouraging tidings"--that is how Billy Collins, the widely read and widely acclaimed poet, describes the music in his poem about the gospel singing group The Sensational Nightingales. The same phrase applies, just as joyfully, to the arrival of Sailing Alone Around the Room, a landmark collection of new and selected poems by this Guggenheim Fellow, NPR contributor, New York Public Library "Literary Lion," and incomparably popular performer of his own good works. From four earlier collections, which have secured for him a national reputation, Collins offers the lyric equivalent of an album of Greatest Hits. In "Forgetful-ness," memories of the contents of a novel "retire to the southern hemisphere of the brain, to a little fishing village where there are no phones." In "Osso Buco," a poem about gustatory pleasure, the "lion of content-ment" places a warm heavy paw on the poet's chest. In "Marginalia," he catalogs the scrawled comments of books' previous readers: " 'Absolutely,' they shout to Duns Scotus and James Baldwin. 'Yes.' 'Bull's-eye.' 'My man!' " And he also serves us a generous portion of new poems, including "Man Listening to Disc," a jazz trip with headphones, and "The Iron Bridge," a wildly speculative, moving elegy. Whether old or new, these poems will catch their readers by exhilarating surprise. They may begin with irony and end in lyric transcendence. They may open with humor and close with grief. They may, and often do, begin with the everyday and end with infinity. Wise, funny, sad, stealthy, and always perfectly clear, these poems will not be departing for that little fishing village with no phones for a long, long time. Billy Collins, possessed of a unique lyric voice, is one of American poetry's most sensational nightingales. 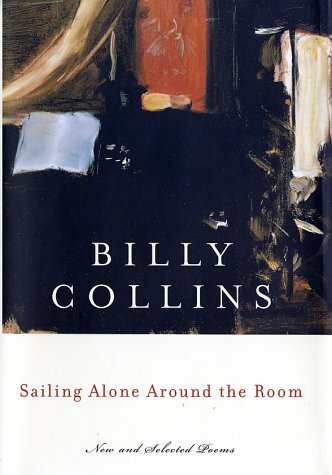 "Billy Collins writes lovely poems--lovely in a way almost nobody's since Roethke's are. Limpid, gently and consistently startling, more serious than they seem, they describe all the worlds that are and were and some others besides." "Luring his readers into the poem with humor, Mr. Collins leads them unwittingly into deeper, more serious places, a kind of journey from the familiar or quirky to unexpected territory, sometimes tender, often profound." "What Collins does best is turn an apparently simple phrase into a numinous moment. . . . A poet of plenitude, irony, and Augustan grace."